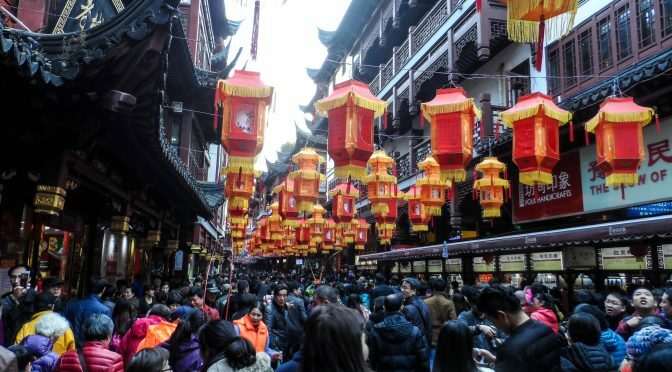 During your time in China, you can expect to experience some of their many festivals, here is a short list outlining the four most important! From their history to their traditions, this will give you a brief understanding of the basics. 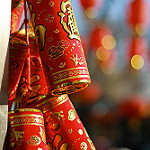 The spring festival aka the Chinese New Year celebrates the beginning of a ne w year. Vibrant, glowing oranges take precedence and stand centre stage alongside striking traditional dress wear that draws the eye of all those around. Rich pinks feature as a homage to blooming flowers, but the major colour here is a brilliant bright red; with banners, lanterns and various items of clothing being made from it. Adorned with gold, these clothes are wide-spread around China and almost every parade/celebration will feature mass crowds wearing the colours. An array of stalls on bustling streets sell almost everything imaginable: from cute, colourful trinkets to delectable food, there is something for everyone. A large part of this celebration is to give children red envelopes containing well wishes or money; expect to have to participate in this! 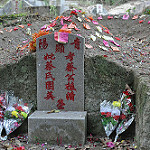 A 3-day public holiday, Qingming is a period used to remember and pay respects to the dead. People walk to cemeteries and sweep tombs and give offerings to the dead such as food, flowers and paper money. In China, people show their love for families differently to Western cultures; they show a type of love called Xiao whichmeans ‘love with responsibilities’ and is a respected virtue that includes children being good to their parents – even after their death. It is the child’s responsibility to provide them with a peaceful place to rest; quiet cemeteries and secluded gravestones are two popular places. This is extremely valued in China – hence the 3-day holiday – and though it is performed differently in modern times to ancient times, there is still high emphasis placed upon paying one’s respects. Though this celebration is a fun and exciting period, it has a tragic history that juxtaposes its modern- day practises. Famous poet Qu Yuan was so devoted to his province that when he opposed an alliance between two states he was cast out and, in despair, committed suicide by drowning himself. 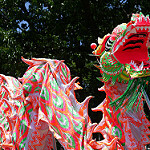 Now, decorative dragon boats are rowed along the river and competitive dragonboat races are held. Intricately, painstakingly designed using bright colours such as green, blue, red and yellow, these dragon boats have a head and tail and can range up to 12.4 metres long. Large parades and performances line the streets, with people wearing red and yellow outfits, stilts, and Chinese dragon costumes. Everyone gets involved with the celebrations, dancing, playing drums and participating in the initial performances. The mid-autumn festival is a time for family and friends, and all come together to look at the moon and commemorate the end of the season. Moon worship is included, whereby people pray to the moon asking for a bountiful harvest and good luck, but with modernisation, this practise is rarely followed today. It is held on the 15th day of the 8th month when the full moon is bright in the sky. A remaining tradition is that everyone eats a dessert named mooncakes while sitting as a family. 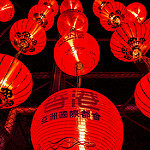 Hundreds of mellow glowing lanterns are set off into the night sky, and people stand watching the spectacular display under the moon as the lanterns float into the darkness. The mid-autumn festival is one for family and togetherness, with everyone gathering and having a fun time as a collective. ChinaTEFLer. The new teaching English in China blog, information and blog site. Copyright © 2019 ChinaTEFLer.com. A Noon Elite Recruitment blog.